You’re the business owner. You’ve paid for help. You’re the local SEO. You’ve been paid to help. Maybe you did help – just not quite enough. Both of you were expecting boom. 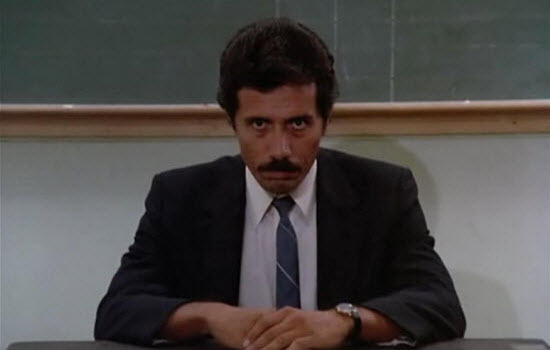 But all you got was pop…pssffftt. Effective local SEO takes hard work and time. The benefits are obvious when it all works out. But even when it doesn’t – or doesn’t seem to – there are some less-obvious benefits. More on that in a second. One point that I hope you took as a given: I’ve messed up my share of local SEO campaigns. Of course, I wish I did things differently in many of those cases. But without the hard knocks I don’t think I would have learned some important lessons. Without them I also don’t think I could have had some of the successes. You learn from mistakes. Especially on those occasions the rankings haven’t come, I’ve asked myself: what good did I do? Put another way: if you subtract good rankings from an otherwise solid local SEO effort, what’s left? An experienced local-search geek will keep you from making real stupid moves (or just wasting time). 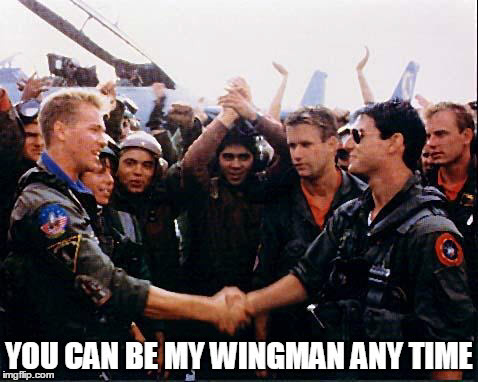 And if you weren’t going to do anything stupid, well, then you’ve got yourself a trusted wingman. Your local SEO-er will steer you away from wasting money on products or services that would be useless or harmful to you. (I won’t name names here; feel free to email me if you’re curious.) He / she will usually favor “sweat equity” and will try to help you build yours. You’ll have a solid foundation of correct, complete citations. Also, many of those listings will have been claimed, and you’ll have the logins to most or all of them. A real local-search pro wants you to have the reins. Your site will have just the right amount of on-page optimization: you’re not pretending search engines don’t exist, but you’re not overdoing it. At least when I do work for clients, their businesses are always at least a little more “optimized for humans” – on-site and off-site. (See this, this, and this.) What you do with your traffic matters more than how many eyeballs you get. You may discover that you should at least dip a foot into other marketing media (like AdWords) – and that you shouldn’t rely exclusively on your visibility in local search. Challenges are a good test of your SEO’s character. You can ask tough but constructive questions. Why hasn’t the needle moved enough? What can we do to get it to move? Is there anything extra we should do that we didn’t originally plan on? Your trusty helper will not only give you the unvarnished truth, but may also be able to help you in other areas (e.g. building an email list) while you’re getting your local SEO efforts figured out. Not getting results easily is a sign that good local visibility might be worth something in your market. If it’s too easy to rank, the market may not be competitive – and that may be for a good reason (that there’s no money in it). Even if your local search efforts don’t seem fruitful at first, there’s a good chance the plan will come together just fine. Slow local SEO is underappreciated. You’ll be able to lean on your local SEO-er for advice later on. If / when you run into an issue, or have a question, or notice a change in Google, you’ll have someone you can ask. Can you think of other benefits of a well-executed “local” campaign – even when the rankings are underwhelming? Any real-life cases you’d like to share? Leave a comment! Hikers know that the best way to avoid dehydration is to drink water before you’re thirsty. I say local SEO can bring you more customers without breaking the bank…especially if you can work on it slowly, if you start before you’re desperate for business. But I suggest you work on your local visibility even more slowly than you’re inclined to. If at all possible, you should consider intentionally take a long time (say, 6-12 months) to work your plan. 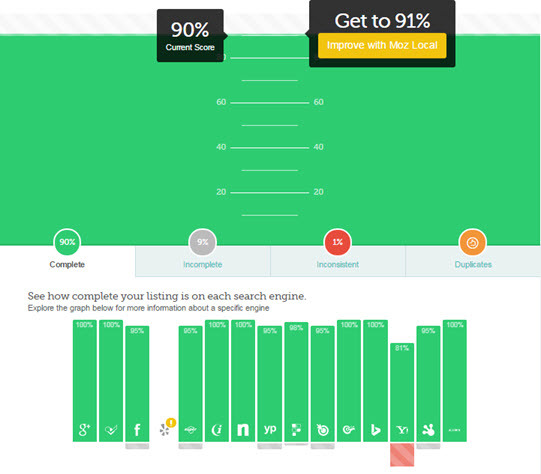 Advantage 1: You’re less likely to have trouble with duplicate Google listings. There are a few major sites that feed Google info on your business. If your listings on those sites isn’t accurate, sometimes Google will automatically create additional listings for your business based on the (mis)information on those “trusted” sites. Those usually hurt your rankings. It’s easier to prevent those listings from popping up in the first place than to play the whack-a-mole game of trying to get the unwanted Google listings removed, only to have them reappear later because Google is still being fed incorrect info. But it takes time for those major sites to start feeding your info to Google – usually 2-3 months. So you’ll want to take the time to square away your listings on these sites first. Advantage 2: A slow approach makes your customers’ reviews more likely to stick. Not all your customers will review you. Many times your reminders to them will go in one ear and out the other, or sit in their inbox, or sit on the kitchen table. So it’s going to take you a while to build up a good base of reviews on Google+Local and third-party review sites. But here’s the kicker: if you rush the process and ask too many customers in too short a spam for reviews, their reviews are more likely to get filtered on sites that have (overly) strict review filters – namely Google+Local and Yelp. If you want your customers’ reviews to see the light of day, err on the side of asking a handful of customers each week, and keep it up indefinitely. Advantage 3: You can commit to building up the amount of helpful, useful content on your site without feeling like it’s “all or nothing.” In some markets a good, active blog (or routine article-writing) can help you pull ahead in the rankings – in addition to helping anyone who visits your site. But that’s not going to happen if you write or shoot videos furiously and then stop because nobody seems to notice. Of course they won’t – at first. It takes time. However much time you spend on creating helpful content, make sure it’s something you can stick with for months or years. Otherwise don’t even bother. Advantage 4: It’s less stressful, daunting, and frustrating. I say this for the reasons I already mentioned, and for the reason that It may actually mean you can do all the local SEO yourself without having to delegate to someone in-house, hire a third party, or give up. If good old Jared Fogle was told he’d have to shed hundreds of pounds in the span of a couple months, he’d probably have OD’d on arugula or impaled himself on the wreckage of a stationary bike he sat on. But trading in a Big Mac diet for a Subway diet was at least doable and seemed to work for him, although I’m guessing it took a while for him to go from XXXXXL pants to an XL. Don’t embark on something you can’t stick with. Advantage 5: If you don’t rush, you’re less likely to make mistakes and to have to redo your work. It’s Murphy’s Law. Advantage 6: You’ll be able to spend more of your time cultivating other sources of customers. You never want just one source of new customers – be it Google+Local visibility, or AdWords, or Facebook ads, or word-of-mouth. Google is unpredictable. Being visible in Google+Local is essential, but you’re taking a risk if you spend all your time on it. At the very least, you’ll want to be not just listed but visible on other sites. But the more doorways customers have into your business, the better. Advantage 7: Anyone you hire for help with local SEO will be eternally in your debt, to the extent you’re fine with a relaxed pace. I’m grateful to my clients for so often giving me the time and breathing room to do what I’ve got to do. It helps me help them. I realize all of this may sound abstract, despite my getting into the details. What do I mean by “slow”? Well, it’s time for a little story, to illustrate an extreme example of slow local SEO that worked out well. My second client ever – let’s call him Bryant – had a business located on the outskirts of Austin. He wanted to rank on the first page of Google’s local results in Austin for a couple of very competitive search terms. Bryant’s wasn’t even a “service area” business: His customers came to him, through the front door of his home – no doubt occasionally tracking dog doo on his carpet. I told him that in a walk-in industry like his he was probably a bit too far from central Austin to be considered a “good match” by Google, but I said I’d do what I could. We made a little progress over 4-6 weeks, but I couldn’t get Bryant to where he wanted to be. This was in late 2009, when local SEO generally was simpler. The steps we took were good, but there’s more I’d do and more I’d suggest if I had to do it over again. But I was too much of a newb to know and tell him that we’d need to give it at least a few more months for the work to pay off. Bryant was disappointed, and we parted ways. On one or two occasions during 2010 and 2011 I checked on his rankings for the main 2-3 search terms– just out of curiosity. He still wasn’t there. But then about a month ago something reminded me of his situation, and I caved to my curiosity and checked on a couple of his rankings for the first time in about 2 years. Alas, he was (is) ranking right where he wanted to be – after more than 3 years. I’m sure Bryant didn’t completely sit on his hands during all that time. A quick look at his Google+Local page told me he’d racked up an OK number of customer reviews. On the other hand, his site was untouched – exactly the same as before, and still not very good. He could probably make even more progress with just a couple hours of further work. The bottom line is that Bryant started to work on his local search rankings when he wanted more customers but wasn’t absolutely dying. It took 3 years for him to get good results, but he got them. He gave it time. At the very least, that meant he didn’t constantly meddle with his Google listing or look for shortcuts. I’m guessing that also helped his citations to grow naturally. My suggestion is very simple: go slowly if you can. Don’t hammer away at your local SEO campaign every single day. Maybe every week or two (?). Also, take time to read about it (as you’re doing now – good job!). Sure, work on your local visibility today. Do some work now. But consider doing it more slowly than you might be inclined to. It can be faster than doing it the wrong way and having to redo your work. Slow is the new fast. Any reasons you can think of to go slow? What’s your approach? Leave a comment!